The Indian Army will get new assault rifles, sniper rifles and carbines this year, Army Chief General Bipin Rawat announced at his annual press conference in New Delhi on January 10. This signals the commencement of the long-delayed process to replace the vintage small arms inventory which the Indian foot soldier was saddled with. The Army has chosen the American Sig Sauer assault rifle, General Rawat later elaborated to SP’s reporter. “We will be signing a contract this year for the import of 77,000 Sig Sauer assault rifles,” he disclosed. The number was earlier believed to be 72,400. Sig Sauer’s offer for the SiG 716, which fires a 7.62 mm round, emerged the lowest bid (L1) in a competition also involving Russia’s Kalashnikov, Arsenal, Israel’s IWI and UAE’s Caracal. The imported Sig Sauer rifles will begin the replacement process for the indigenous INSAS rifle. These are being acquired under a Fast Track Process. “A separate process is underway for a Make in India programme to produce assault rifles in much larger numbers,” he said. The number is learnt to be 650,000. While General Rawat did not mention details, it has been reported recently that a Government-to-Government deal with Russia may be in the works to produce the AK-103 in collaboration with the Government’s Ordnance Factory Board. A sniper rifle, which the Army Chief described as “the best in the world”, has also been finalised. The initial lot will be imported under a Fast Track Procedure later this month to meet the requirements of the Northern Command. Funds delegated to the Northern Army Commander will be used for this purchase. A bigger procurement of over 5,000 sniper guns is being processed as a capital acquisitions programme by the Ministry of Defence. It is also learnt that a fast tracked contract with a Caracal, a UAE-based company, for 93,895 carbines too is close to being signed. The imported Caracal carbine will begin the replacement process for the vintage 9 mm Sterling carbine. Under a separate Make in India programme, an additional 350,000 carbines will be acquired. The companies bidding for the Make in India carbine programme include Caracal, Colt, IWI, S&T Motiv and Baretta. General Rawat also expressed optimism on progress in acquiring the American Apache gunship and the indigenous Light Combat Helicopter. 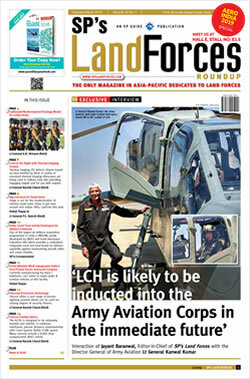 “The LCH has done well. It is making good progress. The altitudes at which it has operated gives us confidence. We need to take a call at Aero India next month,” he said while referring to India’s premier airshow which will be held in Bengaluru in February. “We’re confident that the Apache (attack helicopter) will be signed. We’ve tagged our requirement along with the Indian Air Force (IAF)’s. The issue is who will control the attack helicopters. 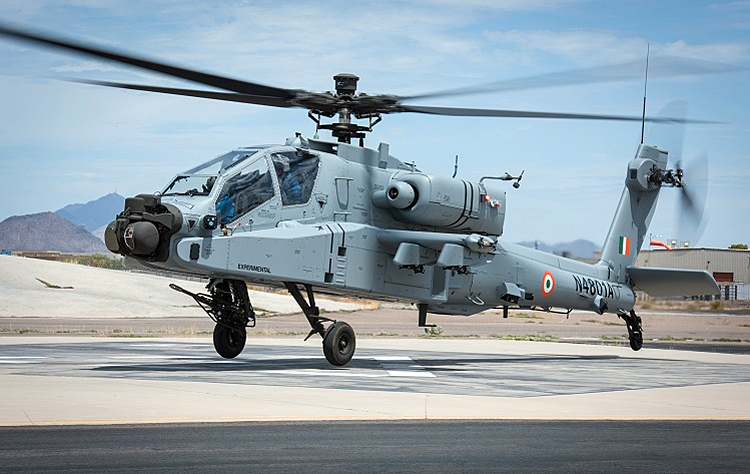 The role and charter for which we’re inducting the Apache needs to be decided,” the Army Chief said, referring to the Army-IAF turf war over control of the attack helicopter role. “It’s a tank killer, which needs to support the Army’s strike formations....The Apache is a good machine. It is a tank in the air,” General Rawat said. The indigenous Advanced Light Helicopter (ALH) is also being weaponised to give it an anti-tank role. “We need better rockets and missiles for the ALH WSI. The DRDO is developing a rocket and missile for this helicopter. If it is able to meet development and production timelines, these weapons will be indigenously acquired. Otherwise, we will go in for imports,” he said. General Rawat also acknowledged the acquisition of hand-launched UAVs for Infantry battalions deployed close to unsettled boundaries. This is being done to avoid sending troops in harm’s way and thereby minimising casualties. Referring to the situation on the Line of Control, he said infiltrators were often known to leave behind mines and IEDs to inflict casualties on Indian troops, and surveillance by hand-launched UAVs reduced risks. Efforts are also afoot to acquire the technology to detect tunnels being dug along boundaries to abet infiltration of terrorists. While responding to questions by SP’s Editor-in-Chief, the Army Chief acknowledged that some prominent modernisation programmes like FINSAS, Battle Management System (BMS) and Tactical Communication System (TCS) have been abandoned. “Things have changed. It’s time for a relook. The equipment used by the US Army is not our requirement. We are modifying our requirement,” he explained. On the subject of structurally revamping the Army, he said a concerted effort will be made in 2019 to make changes on the basis of studies done in four areas: Restructuring of Army Headquarters, cadre review for officers, longer service for other ranks and Integrated Battle Groups. The integration of battle groups was meant to bring together different war fighting elements structurally together. On Kashmir, General Rawat said a combination of hard and soft power is being adopted to improve the situation. The Army will clean up the Dal Lake as part of its goodwill efforts to win hearts and minds. Pakistan, he said, was unrelenting in its efforts to stoke terror and cause disruption, despite talk of peace by the new Pakistani Government led by Prime Minister Imran Khan. Three hundred armed militants are in readiness to be infiltrated across the LoC to push up violence, he said. 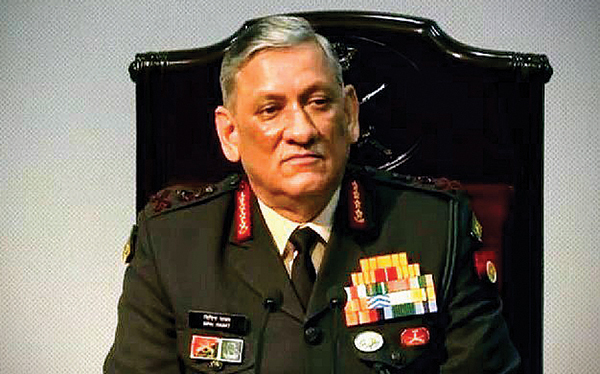 A top priority for the Army leadership would be to ensure the welfare of war disabled soldiers and their next of kin, General Rawat said.